Galigrain, which belongs to the Nogar group, is to build a 9,500m2 storage facility at Puntas Langosteira in the outer harbour extension. 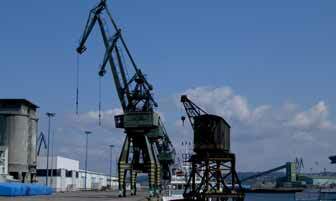 The new facility will become operational in the port of La Coruña, Spain, in 2014, where the company is already the largest agribulk handling company. The concession covering the warehouse will be for a period of 35 years, which is the maximum amount of time allowed under existing legislation. For its part, Galigrain forecasts handling up to 100,000 tonnes at the facility, which it also believes will eventually have to expand. Initial investment will be in the order of €4.5 million and also includes a discharge and loading grab crane.